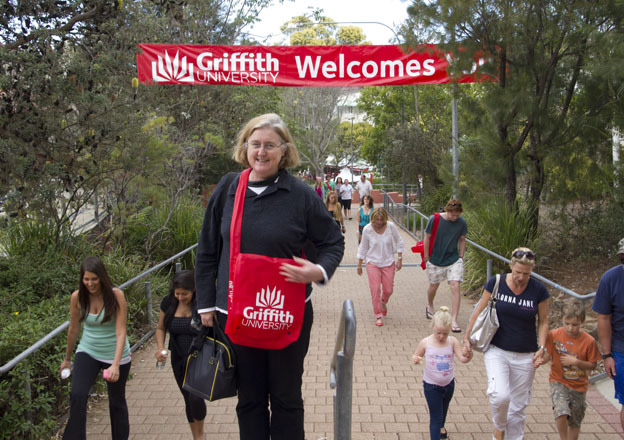 On Sunday we visited the Griffith University’ Open Day at the Gold Coast Campus. Both Vicky and I are QCA Alumni – I go back to 1972 when it was simply the ‘College of Art’ and a sessional teacher from 1977 to 1993. Vicky from 1992 as a student of the Associate Diploma of Photography program. We’ve never visited the Gold Coast campus – it’s a remarkably fresh looking place in a natural bushland environment. Students manned the info tents and displays alongside lecturers and their presentation packages represented quality outcomes for their graduating students. They offer interesting and contemporary programs in photography, ephotojournalism, fine art and commercial photography. 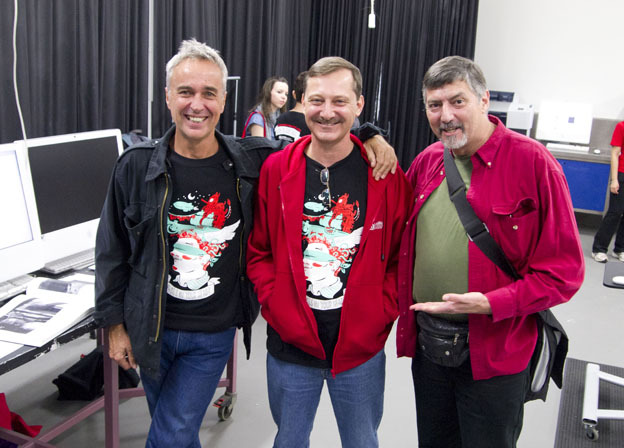 While in the studio we met up with photo lecturer Jack Picone. A fellow PhD candidate – exchanged some interesting ideas about the challenges of professional practice, teaching and keeping up with the demands of higher ed academic study. Jack has worked around the world as a photojournalist – he showed us a book of his amazing work. We also caught up with long term QCA identity Earle Bridger who up until last week was deputy director of the QCA Gold Coast campus. Earle has transferred back to the South Brisbane campus.